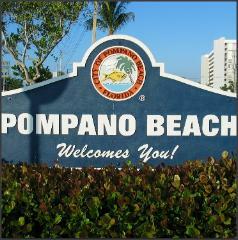 The city of Pompano Beach requires a wedding permit for weddings held on the public beach. The costs of the wedding permit is $25. If you like Affordable Ocean Ceremonies & Beach Weddings will obtain the wedding permit on your behalf for an addental $25. You can apply for the wedding permit at the Pompano Beach Civic Center located on 1801 NE 6 Street Pompano Beach, Fl 33060. The wedding permit takes 24 to 48 hours to get approved. Please call Affordable Ocean Ceremonies & Beach Weddings at 954-314-8040 for more information.